This song is dedicated to Elizabeth Warren, a.k.a. Running Mouth. 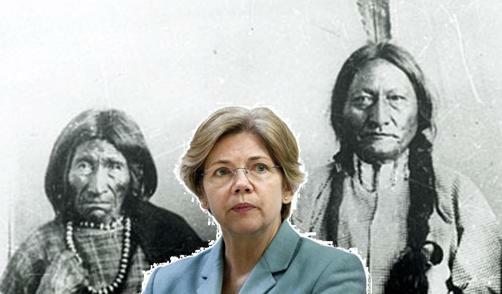 Not only was Elizabeth Warren NOT an Indian, her ancestors actually rounded up Indians and put them in camps. But the most stunning discovery about the life of O.C. Sarah Smith Crawford is that her husband, Ms. Warren’s great-great-great grandfather, was apparently a member of the Tennessee Militia who rounded up Cherokees from their family homes in the Southeastern United States and herded them into government-built stockades in what was then called Ross’s Landing (now Chattanooga), Tennessee—the point of origin for the horrific Trail of Tears, which began in January, 1837. This new information about Ms. Warren’s true heritage came as a direct result of a lead provided to me by William Jacobson over at Legal Insurrection, who in turn had received the information from one of his readers. Jacobson, who has questioned Warren’s explanation for her law faculty listing, calls this discovery “the ultimate and cruelest irony” of the Warren Cherokee saga.